Despite multiple waves of feminist revolution, today's single woman is still mired in judgment or, worse, pity. But for one brief exclamatory period in the 1930s, she was all the rage. 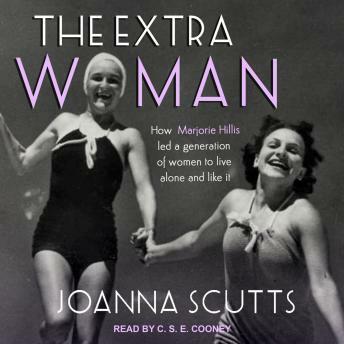 Marjorie Hillis was working at Vogue when she published the radical self-help book Live Alone and Like It: A Guide for the Extra Woman. With Dorothy Parker-esque wit, she urged spinsters, divorcees, and old maids to shed derogatory labels, and her philosophy became a phenomenon. From the importance of a peignoir to the joy of breakfast in bed (alone), Hillis's tips made single life desirable and chic. Now, historian and critic Joanna Scutts reclaims Hillis as the queen of the 'Live-Aloners' and explores the turbulent decades that followed, when the status of these 'brazen ladies' peaked and then collapsed. The Extra Woman follows Hillis and others like her who forged their independent paths before the 1950s saw them trapped behind picket fences yet again.